ThriveCart lets your customers easily add multiple copies of the product they are wanting to buy when checking out. Firstly, you need to either edit the settings of your product or start creating a new product. 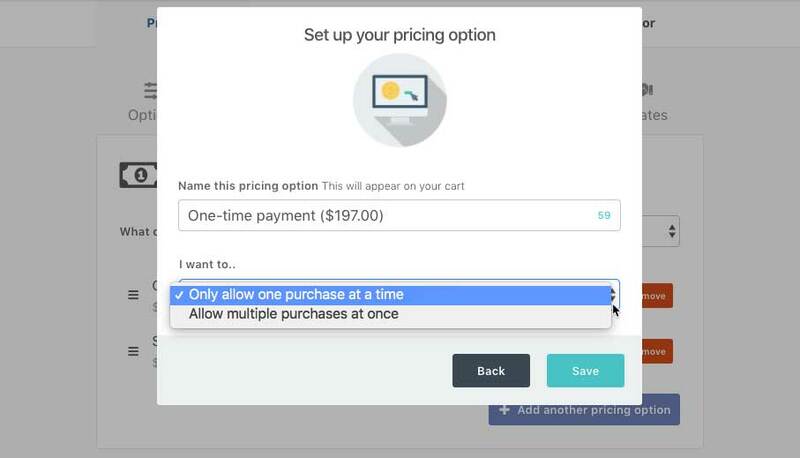 Under the Product > Pricing tab, you can create or edit payment options. In your pricing option, on the second page of the modal window will be the option to allow multiple or singular purchases. This setting is available for single payment options only. Not subscriptions. Once done, simply save your product settings or continue setting up your product. Your customers will now easily be able to add multiple copies to their order on checkout. Enabling the quantity selector for your upsells works similar to your main product. The first thing you need to do is edit your upsell or start creating a new one. 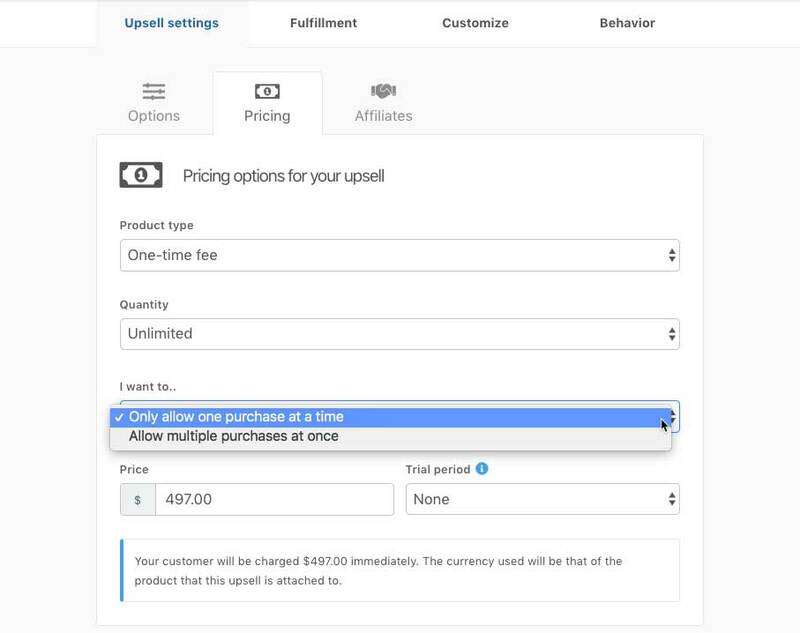 On the initial Upsell settings > Pricing tab you’ll want to change the option to “Allow multiple purchases at one“. Once done you can save your upsell. Remember, you can limit the total number of copies available of your upsell/downsell for sale by changing the quantity from “unlimited” to “Limit to…”. You will also have the option to allow multiple purchases at once. Your customers will now easily be able to add multiple copies of your upsell or downsell to their order. Your customer will also receive a clean breakdown of their order in their invoices after purchasing. If you have any questions or need any assistance, please contact a member of the fast and friendly support team here. Note. At this time the ability to add multiple quantities of a product is for single payment products. Subscriptions will automatically have this feature disabled.